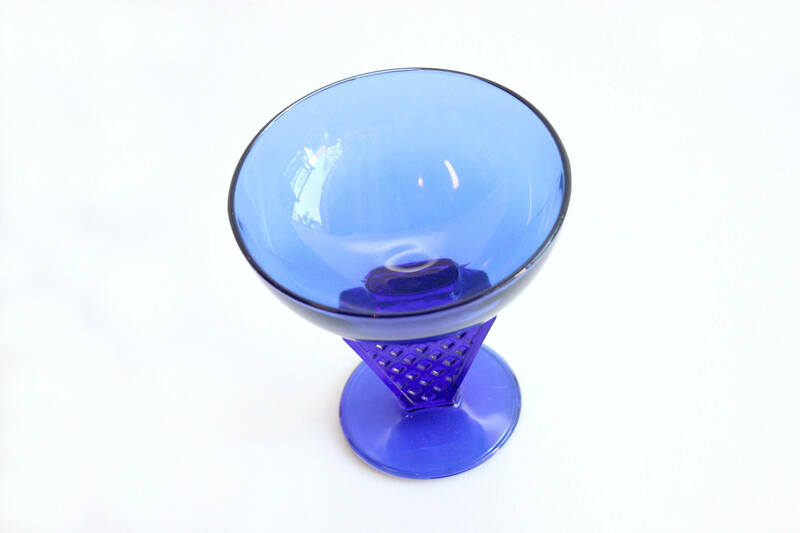 Beautiful Mid century modern pedestal style candy dish. 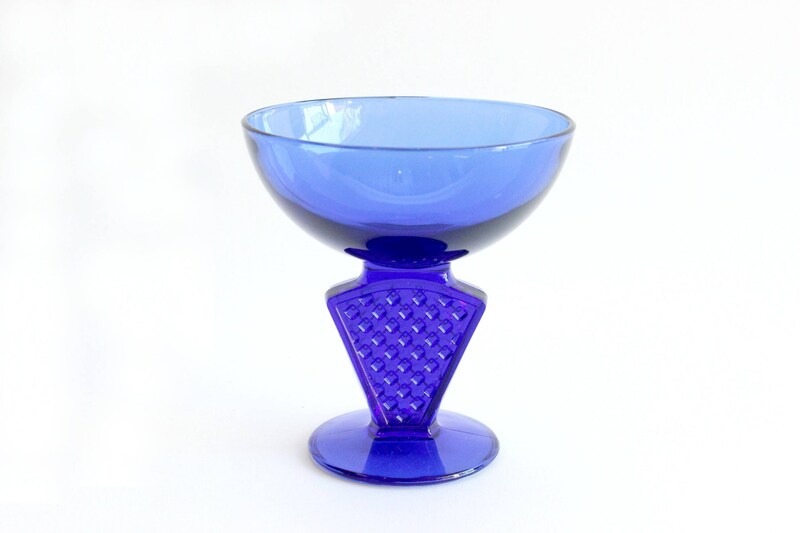 Round bowl with triangle shaped pedestal. 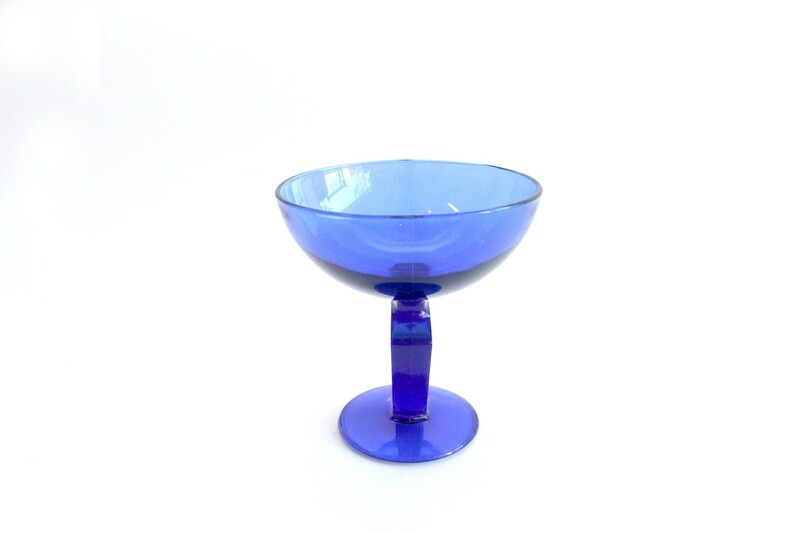 Made of vintage cobalt blue glass. Unique cut glass geometric pattern. Measures 4.5 inches wide and 5 inches tall. Actual bowl is 2 inches deep.